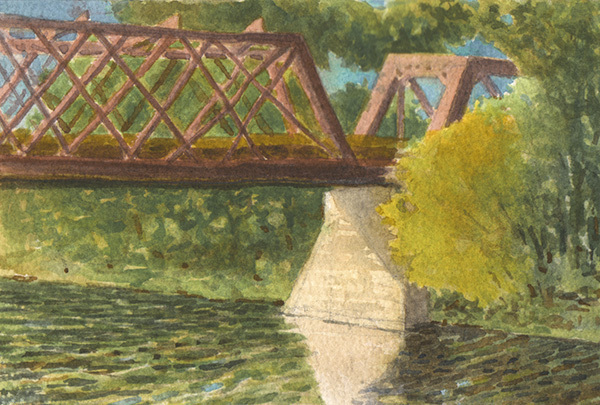 I entered a painting in a juried show at the town Historical Society and it won first place! I did the painting many years ago in 1989, and had it in a couple of group shows in Boston back then. It had languished in my basement ever since until the announced theme of the show, "moving in, moving out, moving on" reminded me of it. 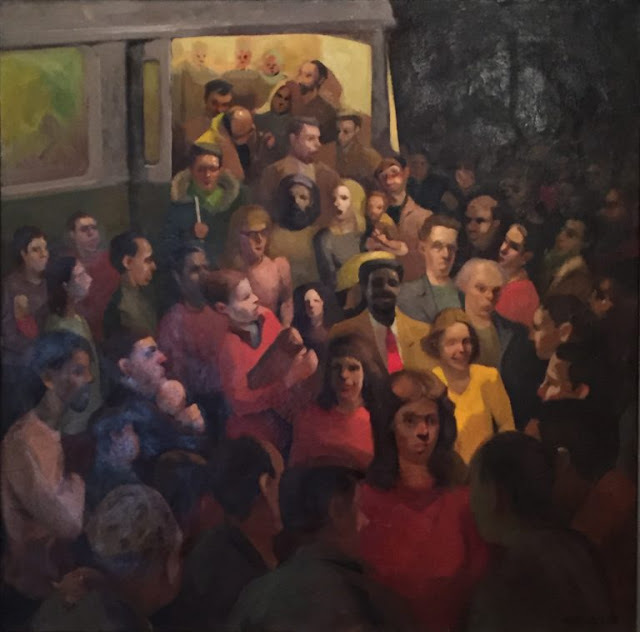 It was inspired by the inevitable scene at rush hour in Boston's Park Street station as people trying to get off the antiquated streetcars would have to fight through the mob of blockheads pushing to get on, who seemed unable to grasp the concept that the emptying must precede the filling. It struck me as having larger resonances with the human condition - our societal battles between enlightenment and atavism, and our individual struggles to emerge into the light in the face of our own selfishness and ignorance.